The mission of Campbell University Jerry M. Wallace School of Osteopathic Medicine (CUSOM) is to educate and prepare community-based osteopathic physicians in a Christian environment to care for the rural and underserved populations in North Carolina, the Southeastern United States, and the Nation. In addition to its mission statement, Campbell University School of Osteopathic Medicine also includes eight goals for the purpose of educating osteopathic physicians who are well trained, socially minded clinicians who practice evidence based medicine. Campbell University, founded in 1887, is committed to the development of students who are dedicated to community service and purposeful lives. These foundational beliefs are fundamental to the School of Osteopathic Medicine. 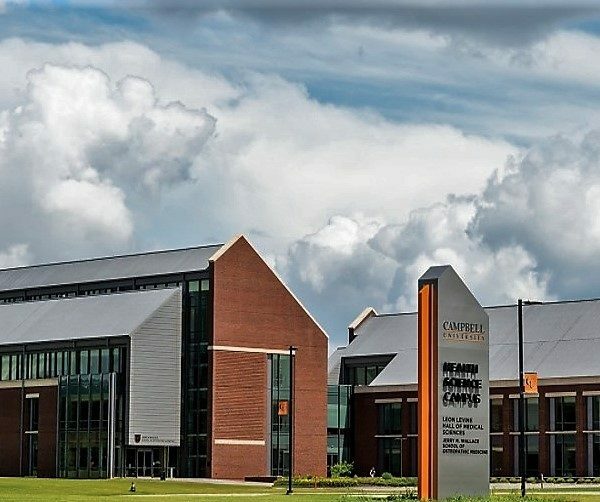 As the first and only osteopathic medical school established in the state of North Carolina, the Campbell University Jerry M. Wallace School of Osteopathic Medicine (CUSOM) provides students with a seamless transition from learning to delivering the highest quality patient care in the communities they serve. The School of Osteopathic Medicine approved class size is 150 students annually, and graduates will fill a critical need by practicing in rural and medically underserved communities. Our purpose as an osteopathic medical school is to train the next generation of physicians who will excel through teaching, learning, and service. CUSOM, located in Lillington, North Carolina, is approximately 30 miles (50 km) south of Raleigh, the state capital, North Carolina’s second-largest city, and approximately 30 miles (50 km) north of Fayetteville, North Carolina, North Carolina’s sixth-largest city. CUSOM is conveniently accessible to Raleigh-Durham International airport (RDU). In April 2017, Campbell University Jerry M. Wallace School of Osteopathic Medicine (CUSOM) became accredited by the Commission of Osteopathic College Accreditation (COCA). CUSOM is accredited by the Southern Association of Colleges and Schools Commission on Colleges (SACSCOC), and is one of three private universities in North Carolina to achieve Level VI accreditation. CUSOM, located on 20 acres adjacent to the university’s golf course, consists of 96,500 square feet of classroom, clinical simulation and small group rooms, as well as student activity and administrative office space. The design fits comfortably with the architectural character that defines the Campbell University campus. The building brings together medical students, faculty, and administration in a state-of-the-art training facility. CUSOM has more than 10,000 square feet of dedicated research space, including 7,000 square feet of newly-constructed labs in a facility adjacent to the medical school. Lilington and the surrounding area offers small town living within reasonable driving distances to major metropolitan areas and the Raleigh-Durham International Airport (RDU). The area offers options for off-campus housing. Apartments, townhouses, and homes for purchase are conveniently located around the campus and in surrounding communities. The integrated structure of CUSOM’s curriculum provides a strong core of biomedical principles along with a corresponding emphasis on clinical application, clinical practice, osteopathic principles and professionalism. The curriculum in years one and two is presented in four parallel and integrated course series, delivered in eight week-long blocks over four semesters, with a one-week break between blocks. Clinical Medicine, Osteopathic Manipulative Medicine, and other clinical skills are taught in a progressive fashion designed to integrate with and provide seamless entry into the third and fourth year clinical rotations. Weekly clinical case conferences are utilized to help students integrate and apply biomedical and clinical concepts presented during the week. Years 3 and 4 of the curriculum begin with one month of simulation medicine to prepare for clinical rotations. 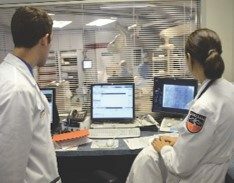 One advantage of CUSOM’s clinical curriculum is that training occurs at eight regional campuses, all within a reasonable distance from the medical school. Clinical experiences occur in a variety of settings including large regional hospitals, academic centers, ambulatory practices, and smaller rural hospitals and health clinics. 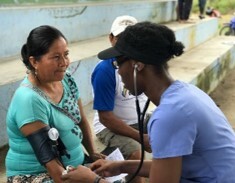 This unique blend of experiences provides students with the opportunity to learn multiple models of health care and have the opportunity to provide care to rural underserved populations. The dual JD/DO program will create highly-credentialed professionals with the skill, expertise, and knowledge to practice in two respected and noble professions. Graduates will be poised to obtain significant positions of leadership, administration, and management and will be well equipped to serve as leaders in their professional and civic communities, working to make significant contributions at the intersection of law and the medicine. The program enables students to earn both degrees in six years of full-time study. CUSOM offers an SACSCOC-accredited Masters in Biomedical Sciences (MSBS) degree to prepare students for successful entry into medical school as well as other health professions programs. The Post Baccalaureate program runs concurrently with the medical school academic year. CUSOM offers medical mission experiences in multiple locations. Select CUSOM on the AACOMAS application. Qualified applicants will be invited to submit a secondary application. To be considered for an interview, an applicant must meet all admissions requirements and technical standards for admission, and have a complete file, including the AACOMAS application, an official MCAT report, a secondary application, the required letters of recommendation, the waiver/non-waiver statement, and the processing fee. Students who are invited for an interview will interview on campus. CUSOM seeks to recruit students from North Carolina and the Southeastern United States who are committed to serving the rural and medically underserved areas of North Carolina, the Southeastern United States, and the nation. While CUSOM seeks students from these areas, all qualified applicants are considered. Applicants who meet the CUSOM standards for academic achievements, maturity, leadership, motivation, and knowledge of osteopathic medicine may be invited to CUSOM for an interview. Applicants who are invited for an interview are contacted by the Office of Admissions and instructed on the interview day process. Each applicant who interviews with CUSOM is reviewed by the Admissions Committee. The admissions decision is based on academic performance, professional experience, ability to meet technical standards, and the interview. International students (non-U.S. citizens or temporary residents) considered: Select Cases, CUSOM may accept students who are US-born citizens, naturalized citizens, green card holders, student visa holders and in DACA status on a case-by-case basis. Secondary applications are requested by invitation only. Applicants must meet minimum admission requirements to be considered for a secondary application. The secondary application process consists of the application, a non-refundable processing fee, and two required letters of recommendation. One letter must be from an physician DO or MD. Although a letter from an osteopathic physician is not required, it is strongly recommended. The second letter must be from either a pre-health committee, pre-health advisor or PhD hard science (Biology, Chemistry, Physics) faculty member. Letters of recommendation included as part of a pre-health committee packet are accepted. Supplemental application will be emailed to all screened applicants who meet the admission requirements. CUSOM uses a rolling admissions process. Applicant interviews are generally scheduled from August through April of the application year. The candidates will attend an information session, financial aid and scholarship presentation, one-on-one interviews with faculty (both biomedical and clinical), and administration. Lunch is provided, as well as a tour of the medical school campus and interaction with first- and second-year medical school students. Deferred entrance requests considered: Yes, but for deposited students only and must be approved by the Dean.